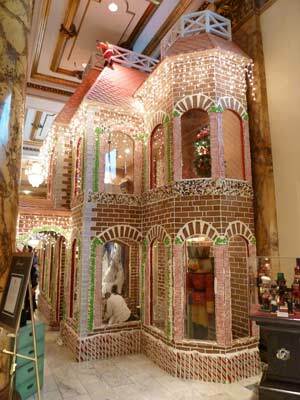 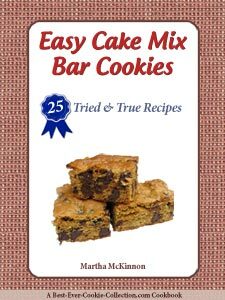 I read recently in the San Francisco Chronicle about The Fairmont's World Famouse Gingerbread House. 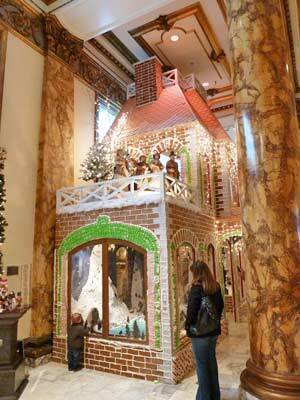 Given that I love Christmas and all-things-cookies, Christmas Eve Day 2011 seemed like the perfect day for a drive into the city to have a look. 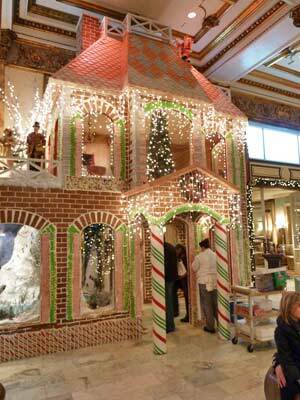 Wow - this amazing life-size gingerbread house is quite impressive. 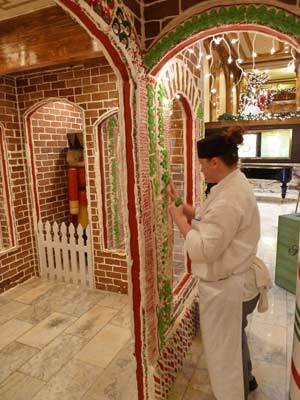 This 2-story gingerbread house, complete with running electric train, marks the entrance to the Laurel Court restaurant in the lobby of the Fairmont Hotel on Nob Hill in San Francisco. 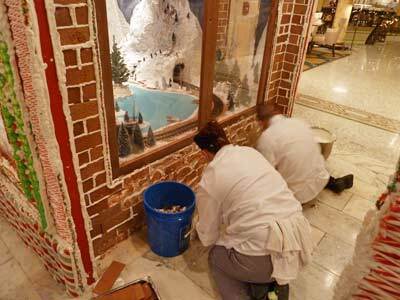 Kitchen staff must repair the house every day because it really is an edible work of art and people like to sample it on their way through to the restaurant. 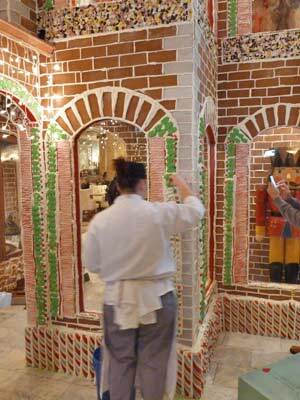 This sweet gingerbread house is built with 7,500 homemade gingerbread bricks, 1,500 pounds of royal icing and about 650 pounds of candy decoration. The house stands an amazing 22 feet tall and 23 feet wide and the underlying framework is made of completely recycled materials. 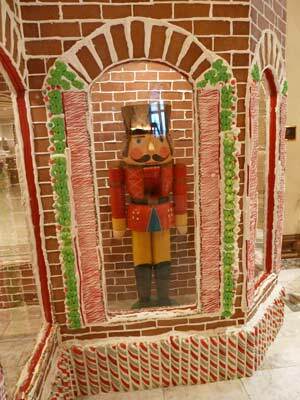 Executive Chef jW Foster and Pastry Chef Stephen Sullivan deserve warm thanks from the community and worldwide hotel visitors for overseeing this mostly edible holiday treat. 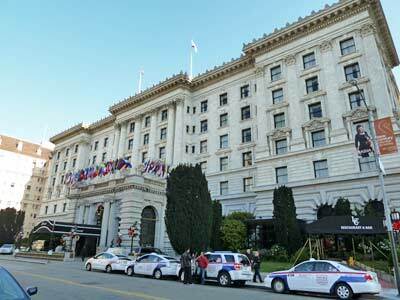 The house will be kept up through New Year's, so if you're in the San Francisco Bay Area, be sure to stop by and see for yourself - you won't be disappointed.